Louth and Hodson Ltd was founded in 2010 when current owner Michael Louth left his managerial position in the paper trade and started the business with Malcolm Hodson. In 2014 Michael became the sole owner and employed his son, Adam Louth, to help run this Lincolnshire business. 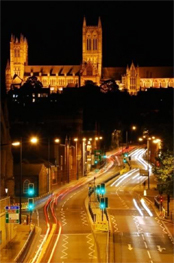 A Lincoln family run business which has predominantly specialised in transport and provided contracts and services to national firms in the newspaper, agricultural, events and parcel business’, 2016 see’s an exciting venture into passenger transfers. Our aim is to provide a first class service in all area’s of our growing business and create an atmosphere where our employees reflect the top class service it’s management strive for.